12. 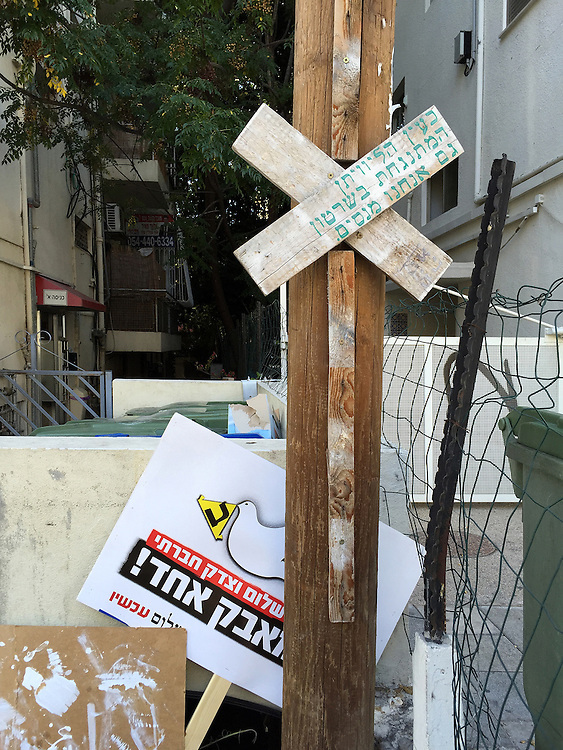 "Peace Sign": abandoned or stashed in alley, Tel Aviv. With a megaphone in its mouth, the dove of peace on the protest sign cries out "Peace and Social Justice: One struggle!" The activist organization is Peace Now. But why the sign is in the alley is a mystery. Perhaps its owner wants it ready at a moment's notice, or free for like-minded others to carry on?